Built for professionals, the Magicard Rio Pro’s superior card printing quality is complemented with a full range of options: single or double-sided printing (with field upgrade available), batch or one-off card printing and secure encoding with magnetic stripe, contact and contactless technologies. Built-in Standard HoloKote® can also be customised to an individual logo or security design. 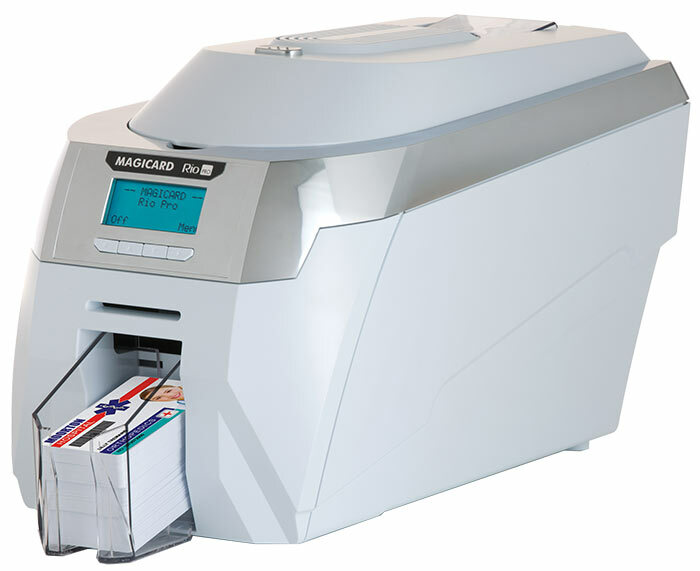 Everything you would expect from a Magicard ID card Printer.